Today I will discuss ways to reverse our biological age … In a nutshell your psychological age directly affects your biological age… How? 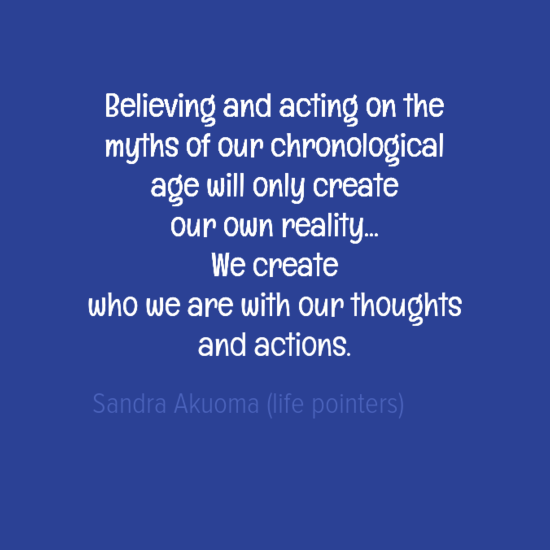 (a)Change your perception on the meaning of ageing…. Do you think ageing is declining of the mind and body? or as you get older your get more vital more youthful, joyful ,energetic body, alert mind if you think like that your body and biological age will reflect that. (b) how do we perceive our bodies…. Do we see it as flesh and blood, a static machine, or do we see it as an energy field that is constantly evolving and renewing itself. The body as an energy field expresses itself through signals of comfort and discomfort. Begin to notice both your internal dialogue and how you speak about your body and aging. If you find yourself saying things like, “I’m hitting the age where I’ll need reading glasses,” “I’m too old to try this or that “I inherited my dad’s high bp,” or other such statements, make a conscious choice to shift your perspective and what you tell yourself about your body and age. ( c) Change perception of time or experience of time: in one of Deepak Chopra lectures I attended so many moons ago I remember him mentioning that one of the many powers to reduce age is to change our relationship with time, he says that if you are always in a hurry, your biological clock speeds up… when people say they are running out of time, their blood pressure goes up, their heart rate speeds up and it introduces stress in their life… instead Keep your attention on what is here and now; look for the fullness in every moment. Accept what comes to you totally and completely so that you can appreciate it, learn from it, and then let it go. Where the mind goes, the body must follow. If your mind is constantly worrying, then your body is constantly being placed under stress. Cortisol runs through your blood stream increasing heart rate in the flight and fight response. You become jumpy and unnerved. 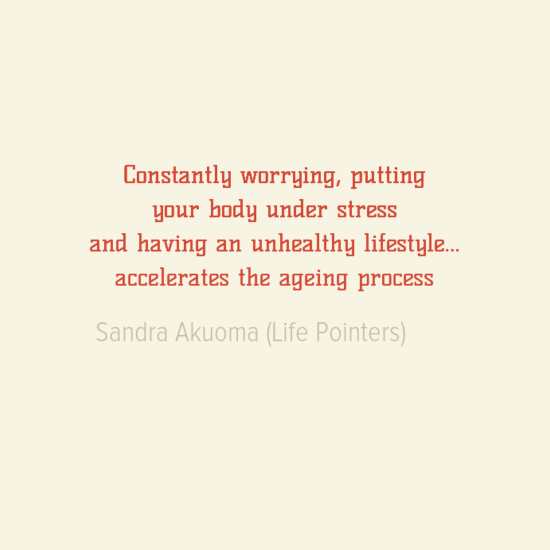 Your body is following your mind, aging every minute as you stress out, worry and fret. Lesson to Learn: whenever possible eliminate negative thoughts, toxic people, stop reliving toxic experiences like dwelling on divorce, breakups, fretting about money, job-loss, a friend’s betrayal, relax; work to accept the bumps in your life. Breathe! Getting regular restful sleep is an essential key to staying healthy and vital, yet it is so often neglected or underemphasized. There is even a tendency for people to boast about how little sleep they can get by on. In reality, a lack of restful sleep disrupts the body’s innate balance, weakens our immune system, and speeds up the aging process. Human beings generally need between six and eight hours of restful sleep each night. Restful sleep means that you’re not using pharmaceuticals or alcohol to get to sleep but that you’re drifting off easily once you turn off the light and are sleeping soundly through the night. If you feel energetic and vibrant when you wake up, you had a night of restful sleep. If you feel tired and unenthusiastic, you haven’t had restful sleep. A complete fitness program includes exercises to develop flexibility, cardiovascular conditioning, and strength training. Find an aerobic activity that you can do regularly – three to four sessions each week for twenty to thirty minutes is usually enough to give you substantial benefits. After your body is warmed up, spend five to ten minutes stretching. You will also want to include strength training in your program to systematically exercise the major muscle groups of your body. The important thing is to start off slowly, find physical activities you enjoy, and do them regularly. If the most you can do right now is walk around the block, do that, and you will be surprised how quickly you increase your endurance and enthusiasm for moving and breathing. Laugh. When is the last time you laughed until your eyes watered and your sides ached? Try renting a funny movie or going to a comedy show. Spend time around someone who makes you laugh. Laughter can make you feel younger and lighter. Breath. Have you ever watched an infant breathe? When a baby inhales, its abdomen is pushed all the way out. As adults, we breathe mostly from our chests. If we want to feel younger, we can learn to breathe like babies again. Slowly inhale through your nose and let it fill your entire torso. Let your diaphragm stretch. Hold the breath for just a moment and then slowly release it through your mouth. Since breathing helps get toxins out of your body, a few deep breaths a day can make a huge difference. Try it right before you go to sleep at night and you might even sleep like a baby. Infinite flexibility is the secret to immortality.” When we cultivate flexibility in or consciousness, ready to accept change, ready to leave our comfort zone, go down the rabbit hole…. We renew ourselves in every moment and reverse the aging process. Children offer the finest expressions of openness and flexibility. They play and laugh freely, and find wonder in the smallest things. They are infinitely creative because they haven’t yet built up the layers of conditioning that create limitations and restrictions. To maintain a youthful mind, write down two or three things you can do that are totally childlike. Think of something that evokes childhood for you – eating an ice cream cone, going to a playground, colouring a picture, dancing, singing, jumping rope, building a sand castle. Find something that brings back the sense of fun you had as a child, even if you think you’ve outgrown it, and choose one of these activities to do today. Gratitude: Living our lives with an attitude of gratitude helps us to stay young in spirit. Forgiveness: Few things make you feel better than letting go of a grudge. Being mad or upset can give you wrinkles on your face and in your spirit. Iron out a few of those wrinkles. 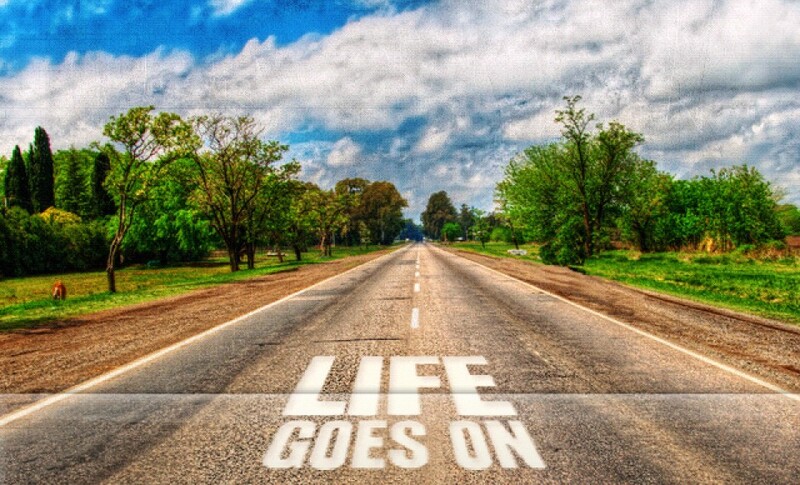 Let go of an old upset. Set that person free and you set yourself free. And remember that a young spirit is a free spirit. Live on purpose. Find something that you’re good at, something that you enjoy tremendously, and then do it. It doesn’t have to be a full-time job (although that’s great if it is). Even if it’s a hobby, or something that you do on weekends, that’s okay. Isolation and loneliness create the conditions for rapid aging. Do you have a close circle of friends and family? Do you have a couple of friends or family members that you can confide in? Whoever you have in your life that you know you can rely on, lean on, talk to, laugh with, hang with and cry with is important. Everyone needs someone or someway to vent and to be able to get something off their chest and out of your head so you can let it go. To be able to share your thoughts and feelings with someone is not only important, it’s necessary. (10) Take time to be silent, to meditate and pray to quiet the internal dialogue. Forget about your age. Whether you’ve been on this planet 30 years or 60 is irrelevant to staying young. You can be ageless. Think young thoughts. Leave words like “old” and “decrepit” out of your vocabulary. Staying young starts with the thought that you want to stay young, and you can generate more young and ageless thoughts every day. If you think you can stay young, then you can stay young.